The 2018/19 Premier League and Championship seasons are in full swing and another weekend packed with football thrills and spills is on the horizon. 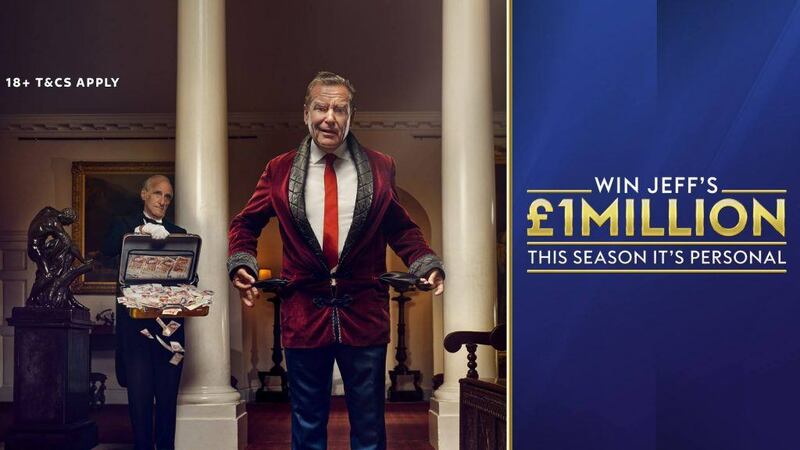 Sky’s Super 6 once again has a massive £1million jackpot to give away and best of all, it’s completely free to play – all you have to do is correctly predict the score for six of this weekend’s Premier League and Championship matches, and you can nab a cool million pounds from Jeff Stelling. You can see this week’s selected matches below, along with our tips and suggestions in the correct result market for each game. The predictions we’ve made come from our expert Premier League and Championship previews. Read More: Championship 2018/19 Outright Betting Tips and Predictions: Winner and Top Goalscorer. West Ham will be looking to recover quickly from the miserable start to their Premier League campaign this week after they were battered 4-0 by Liverpool in their opening fixture of the new season. The Hammers defence which was the joint leakiest in the Premiership last term, looked equally porous at Anfield, though the attacking strength of their opponents has got to be considered. Bournemouth recorded a routine 2-0 win against league new boys Cardiff City in their first game. of their new campaign. Eddie Howe’s men kept just 3 clean sheets on the road last season, so a repeat of last week’s blank looks incredibly unlikely. This weekend’s clash in London sees two potentially exciting attacks come up against two equally wobbly defences. With that considered, we’re going for plenty of drama and a 2-2 draw. New Everton boss Marco Silva would have taken both positives and negatives from his first competitive game in charge of the Toffees. Everton played well in patches during their 2-2 draw at Wolves, though they gave up the lead twice and ultimately only took a point from a contest they should have won. Richarlison’s debut brace was the day’s high point and the Brazilian’s efforts to justify his huge transfer fee got off to the perfect start. Having conceded twice at Molineux, the Everton defence looks set to have an easier time of it this weekend against a Southampton attack that looks completely toothless at present. The Saints won just 3 of their Premier League matches on the road last season and it’s difficult to see how they can trouble a strong looking Everton side on their own patch. We’re tipping a comfortable 2-0 win for the hosts at Goodison Park on Saturday. Leicester City showed plenty of quality at Old Trafford last week, despite eventually falling to a 2-1 defeat against Manchester United. The Foxes will have to come to terms with the loss of Riyad Mahrez this season, but the early signs suggest that they will still be a formidable opponent for anyone again this year, even without the Algerian. City’s form at home in 2017/18 will be a worry however, they won just 6 of their 19 league matches at the King Power last season. Wolves carry lofty expectations with them into their first season back in the Premier League. Inspired by the wonderful Ruben Neves, Wolves fought back to take a point at home to Everton last week, though you get the feeling they are still only scratching the surface of their potential. Neither of our featured teams look like keeping a clean sheet at present, so we think a 2-2 draw looks a sound prediction. Spurs surprised everyone by starting several of their World Cup stars against Newcastle United in their first Premier League contest of the season last week. Ultimately, the gamble paid off, though the choice to field so many semi-fit players could easily have backfired. Spurs didn’t look themselves, with Harry Kane in particular looking a little sluggish. It could take the Londoners some time to shake off their World Cup exhaustion this season. Despite dominating for long periods of their own opening fixture against Crystal Palace, big spending Fulham were undone in the end by a battle hardened and street wise Eagles side. Fulham are likely to adjust their approach a little against a stronger Spurs side and if they dig in like we expect them to, the Cottagers could frustrate the home crowd. Nevertheless, we are tipping Tottenham to eventually wear down the visitors, though there aren’t likely to be many goals. We’re forecasting a 1-0 Spurs victory. Wigan have provided supporters with plenty of excitement in the opening exchanges of their domestic campaign, quickly establishing themselves as the early entertainers in the Championship. The Latics followed up their 3-2 opening weekend win against Sheffield Wednesday with a defeat to Aston Villa by the same scoreline. Wigan lost again in midweek to Rotherham in the Carabao Cup, coming out on the wrong end of a 3-1 reverse. Forest fans are expecting their team to make a genuine push for promotion this season and their unbeaten start to 2018/19 suggests that they are on the right path. Forest’s penchant for leaking goals needs to be addressed however – they have stopped their opponent scoring just once in 4 competitive matches so far this term. Wigan have the tools to cause Forest a few headaches this weekend, so we’re backing them to take a point in a 1-1 draw. Millwall are still searching for their first league win of the season after drawing with Middlesbrough and Blackburn Rovers in their opening brace of Championship fixtures. Millwall couldn’t force a win in normal time in their mid-week Cup meeting with Gillingham either and needed a penalty shootout to book their place in the next round. The Lions have yet to really hit their stride in an attacking sense so far and that could see them come undone against Derby this weekend. Frank Lampard has had to endure a mixed start to his managerial career at Derby. The Rams couldn’t build on the momentum from their first day win at Reading, and Lampard’s men were on the wrong end of a Marcelo Bielsa masterclass in a 1-4 loss to Leeds in game two. Their Carabao Cup win over Oldham should help to restore some confidence however, and that timely boost in self-belief should help them get a positive result at The Den. We’re going for a 2-1 Derby win. Categories: Blog and Premier League. Tags: championship, Frank Lampard, Premier League, sky super 6, and super 6. Team Tag: bournemouth, Derby County, Everton, fulham, Leicester City, Millwall, Nottingham forest, southampton, tottenham hotspur, West Ham, Wigan, and wolves. League: England Championship and England Premier League. Sports: Football.